File photo by Paul W. Gillespie, Staff Capital Gazette, 2014 The annual St. John's College versus Naval Academy croquet match draws several thousand fun-loving spectators. 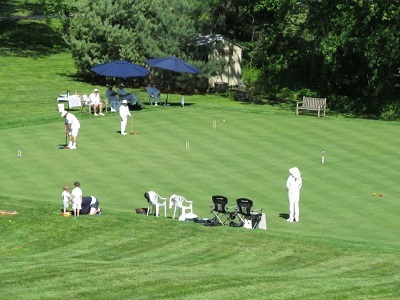 Since 1992 both Navy and St. Johns have used a secret sparring partner, Ginger Cove Retirement Croquet Club as their spring training camp in Maryland. St. Johns College and the Ginger Cove Club played on April 11th, a beautiful spring day on the artificial turf courts at Ginger Cove. It was a warm up for the tournament game to be played April 18 between the Naval Academy and St. Johns. Nine wicket was played using Navy-St. Johns rules. St. Johns won the Generation Gap trophy by a score of 2-1. The Generation Gap trophy has been awarded every year since 1989. Both Navy and St. Johns have very good players, but St. Johns seems to have more depth than Navy. It will be a closely contested match on April 18th. Ginger Cove has a tent at the Navy-St.Johns game-our croquet team will be present. All are invited to visit. 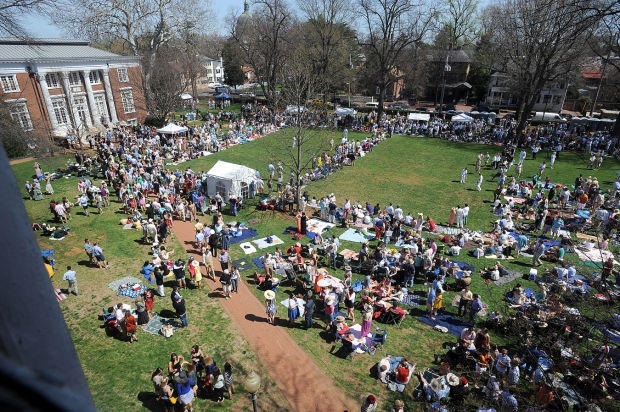 Click on Live coverage from the 2015 Annapolis Cup , the annual croquet match between St. John’s College and the U.S. Naval Academy. 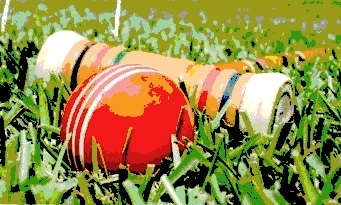 Croquet 2015 – Saturday, April 18, 2015 Match begins at 1 p.m. Gates open at 10 a.m.